If your future includes a move to Temecula, check out Meathead Movers! Our professionally trained student-athlete movers, moving concierge, and princess packers are prepared to get you safely moved into your new Temecula home. 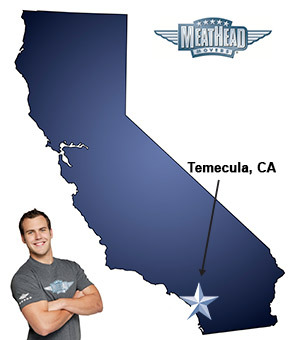 When you make your move to Temecula, be sure to contact Meathead Movers. No matter what type of moving service you need, our student-athlete movers are ready to handle all your moving needs. Most people associate southern California with beaches, but the city of Temecula challenges people to look beyond the golden sands and see a different kind of life. Located in Riverside County, Temecula is nestled inland from San Diego. Although it was only incorporated in 1989, Temecula is already a thriving city with over 100,000 residents. For those who may be considering a move to this southern California city, it is prudent to get to know the area first and then select high quality Temecula movers to facilitate the transition. Temecula was historically populated by Native Americans. In fact, even today, Temecula is close to the Pechanga Indian Reservation. However, when the Europeans first settled the area, the area quickly became known for its fertile vineyards. Today, many people visit Temecula for the excellent wine tasting. Another popular attraction is golfing at any one of the nine courses in the area. You can experience some of Temecula’s rich history in Old Town Temecula. Old Town Temecula offers distinctive charm, featuring various historic buildings that provide a taste of how life used to be in the region. There are also numerous events and festivals at Old Town Temecula, making it a bustling site throughout the year. In addition to these perks, many people are drawn to Temecula for the affordable housing. However, to make this transition, finding the right Temecula movers is critical. Fortunately, Meathead Movers offers a full array of moving services. From packing to loading, transportation to storage, Meathead Movers is capable of handling it all with ease and speed. Meathead Movers has helped orchestrate moves of all distances whether it be local or long-distance and is even well-equipped to complete commercial moves. Meathead Movers even provides a convenient moving concierge service to all its clients, which can connect you to reliable service providers in your new area. While these services are worth noting, there are more reasons to trust Meathead Movers. Too many moving companies have questionable service due to unmotivated staff. To combat this problem, Meathead Movers hires clean-cut respectable student-athletes. Additionally, all employees must undergo in-depth training, ensuring that all movers are prompt and professional. This way, moves go faster and experience fewer complications. To exemplify this difference, all Meathead employees jog while not carrying anything during a move. Overall, when considering Temecula movers, there is no need to look further than Meathead Movers. To see how Meathead Movers can organize your next move, contact us today for a free moving quote. With our 100% satisfaction guarantee, the only thing you have to lose is the stress that comes from moving! Moving to Temecula? Here are some helpful resources. Very, VERY courteous! Professional and accommodating. They took great care with our things and were very efficient! Great Crew!!! Very careful and Helpful!!! I will recommend this Company to All!! !